A Kick in the Grass tells of the fame and flaws of the North American Soccer League which spawned the growth of the game in the United States and Canada—but mostly it tells the human stories of the people who built the league, brought it to unimaginable heights, and then allowed it to die. 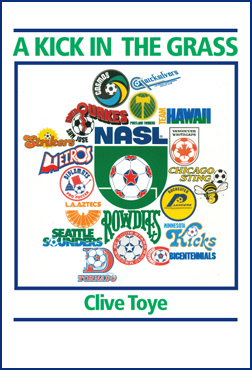 Clive Toye tells the story of the NASL from its humble, even poor, beginnings to its dominance as the major influence on the North American soccer scene. The league, its world class players, and the fans brought the United States into the world soccer limelight and provided the background for the US successes in both men’s and women’s world competition.